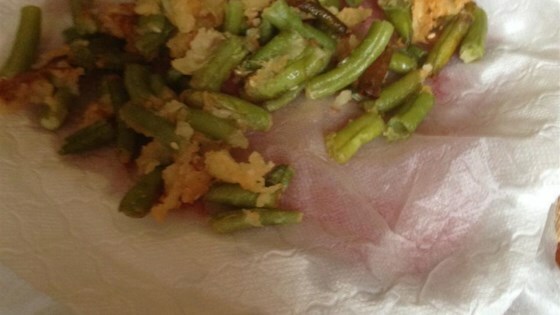 "This is an easy, delicious green bean tempura recipe. Fresh green beans are deep fried to crisp, golden perfection and dipped in a sweet and sour sauce." This was sooo good, that when we were done eating, my husband asked me to cook more! Easy recipe, and I think the batter would be good on just about anything. The sauce is great too. Very light batter. The sauce is makes this appetizer very tasty. Without it, there really isn't much flavor. I've made this receipe many times and I can't keep up with everyone gobbling them down. If I do have left overs I just freeze them and pop them in the oven when I want a great snack.